AOM Australia has now finalised the supply and full commissioning of all kitchen exhaust hoods for the new refurbished Intercontinental Hotel in Perth. More information on the project is available on the Project Page. 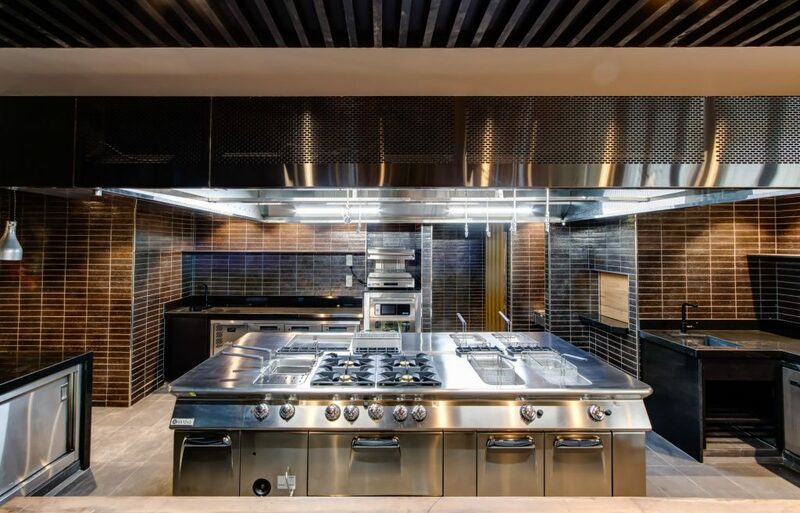 AOM Australia worked throughout the design phase of the project together with Hospitality Total Services (www.hospitalitytotalservices.com.au) to ensure that the selected kitchen exhaust hoods met the project requirements. Once tendering of the project was completed through Built Australia, additional design requirements were defined and each AOM hood was cutomised to fit with interior design needs. Hoods were manufactured in black stainless steel which requires specific manufacturing methods. More information on this service is available on our Custom page. After years of working on this project, AOM Australia is proud to have finalised the supply and the commissioning of the kitchen exhaust hood equipment and looks forward to the opening of the Hotel.